After the success of my last laser pointer, I thought I would make another. I ordered a 532nm 75mw green laser diode off ebay. Since this draws more power than the 405nm diode I purchased last time, I decided to run it off 4 AA batteries, wired to produce 3v. 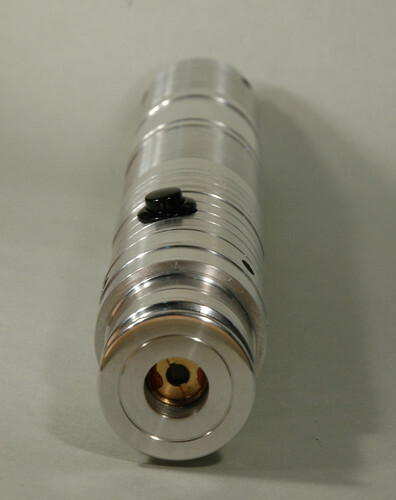 Turned from a length of aluminium tube with the heat-sink and base cap made from solid aluminium rod. Everything is held together with some grub screws.